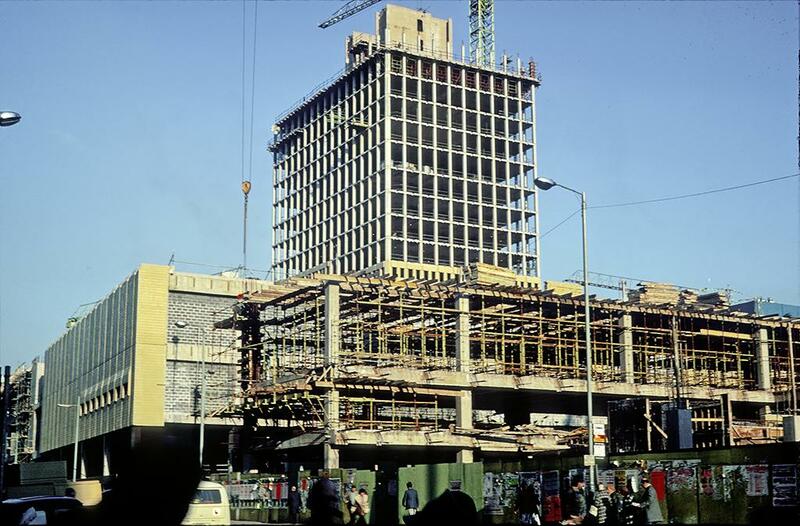 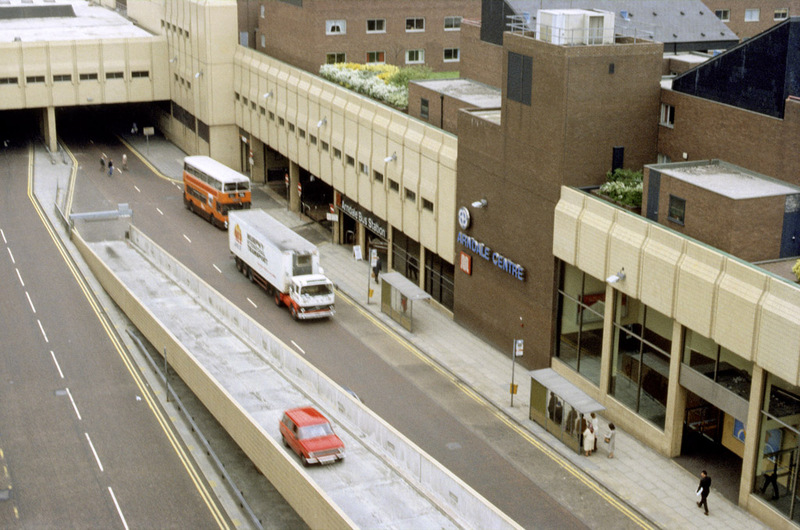 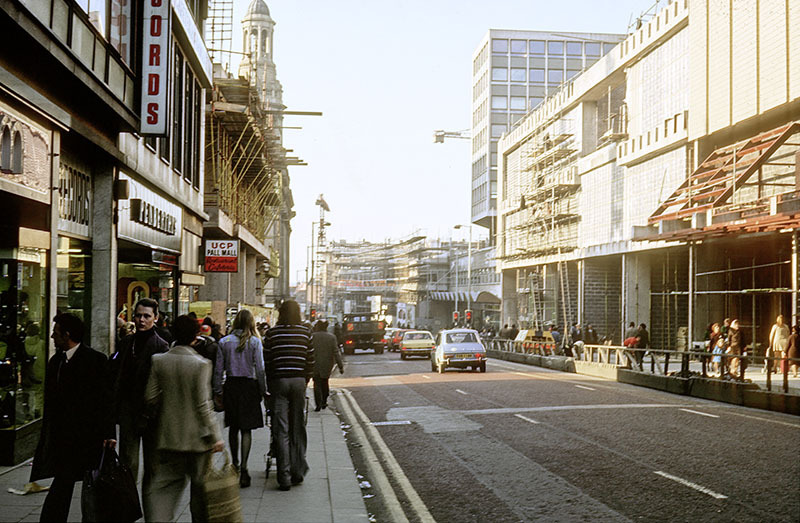 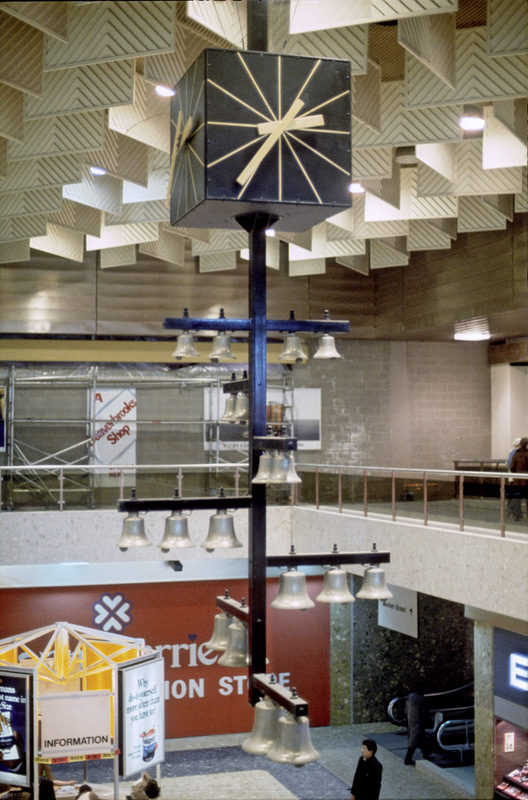 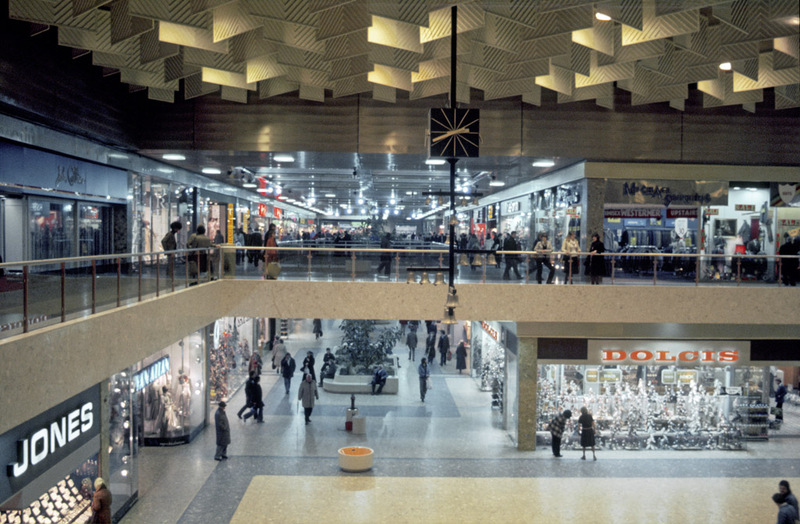 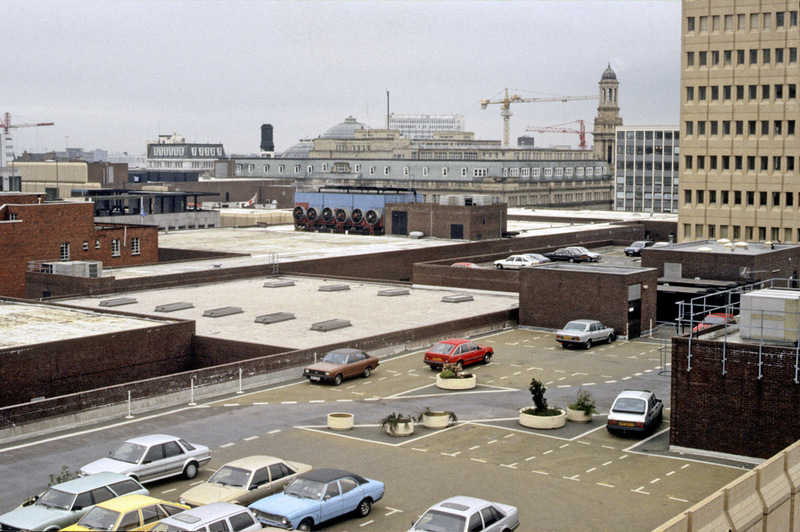 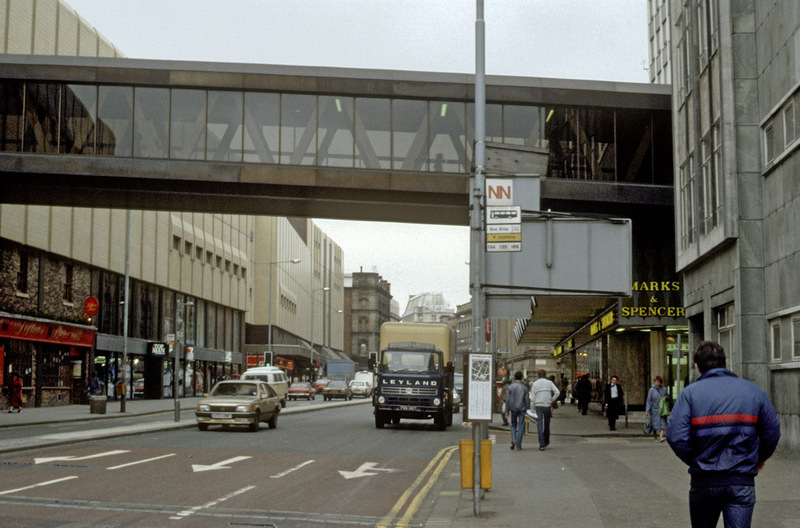 Work on Manchester’s Arndale Centre began in 1971 and ended in 1979. 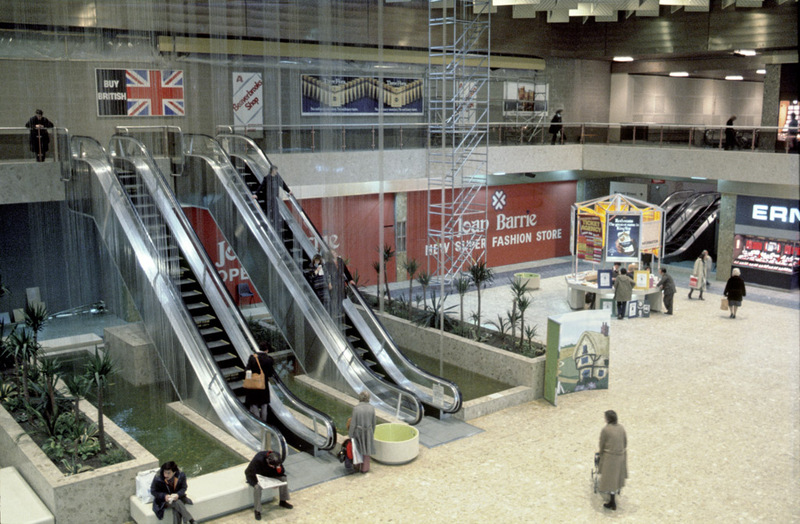 There were 23 Arndale Centres built in the UK. 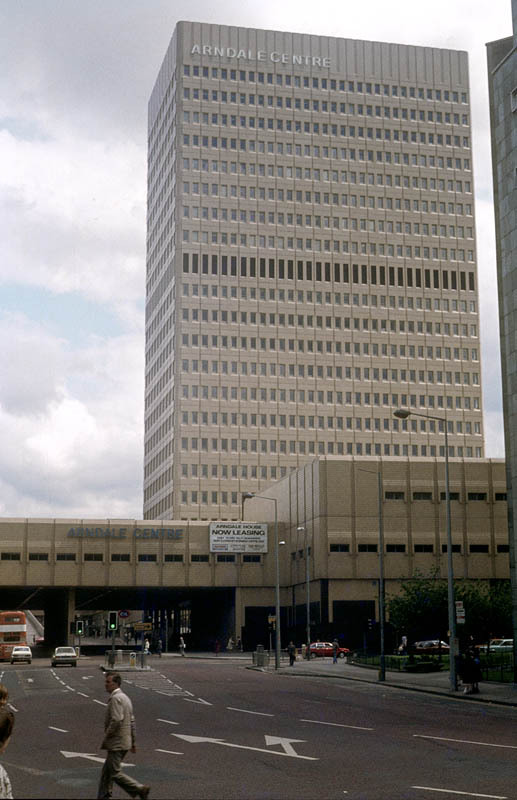 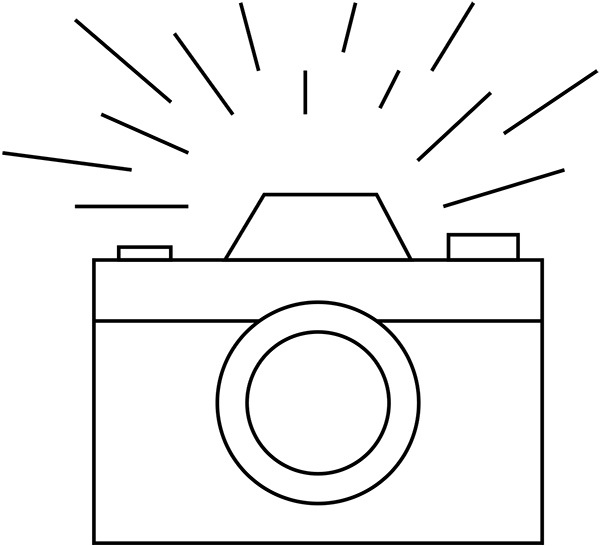 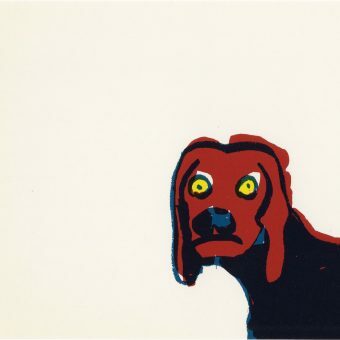 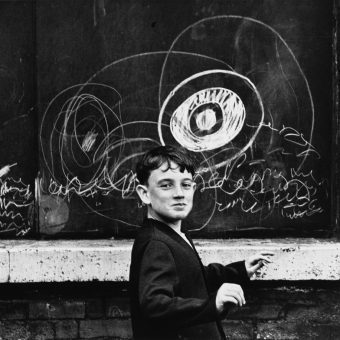 The word is a portmanteau on the names of banker Arnold Hagenbach (May 19, 1904 – February 13, 2005) and his fellow Yorkshireman, Sam Chippendale, an estate agent from Otley, who together created Arndale Property Trust. 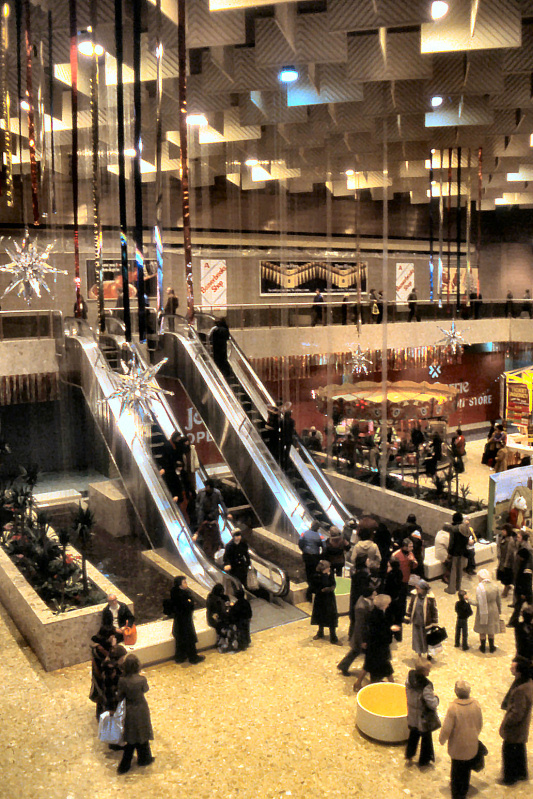 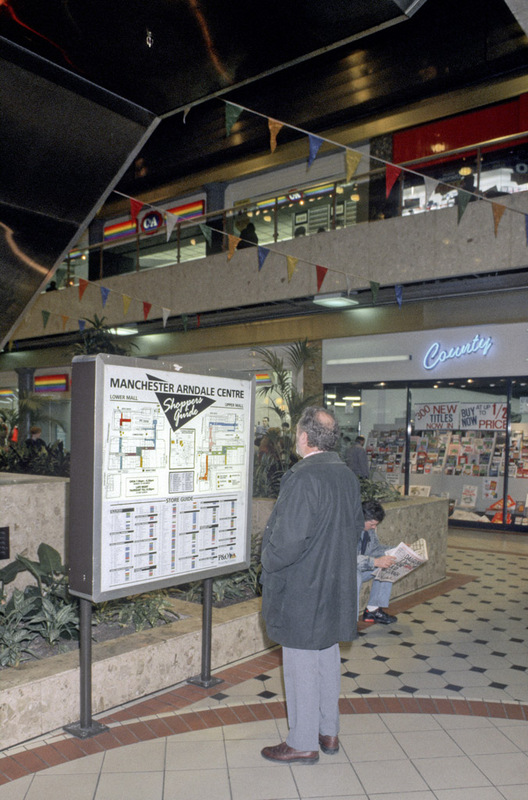 Manchester was the largest of their American-style malls. 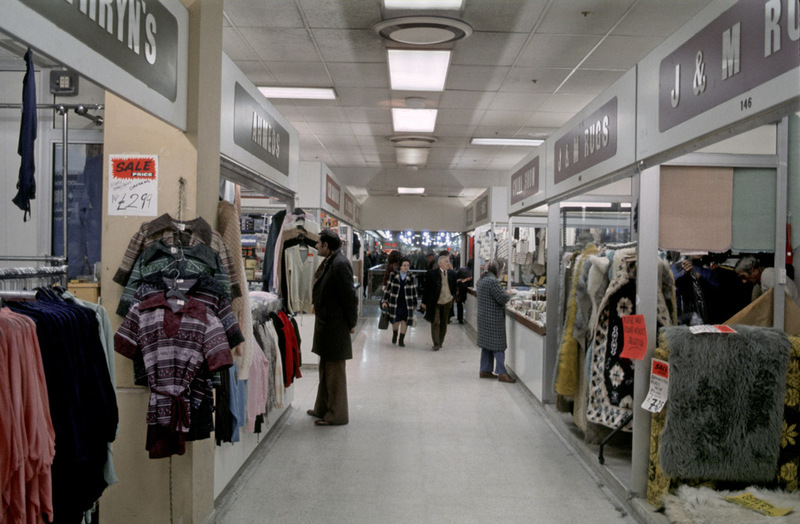 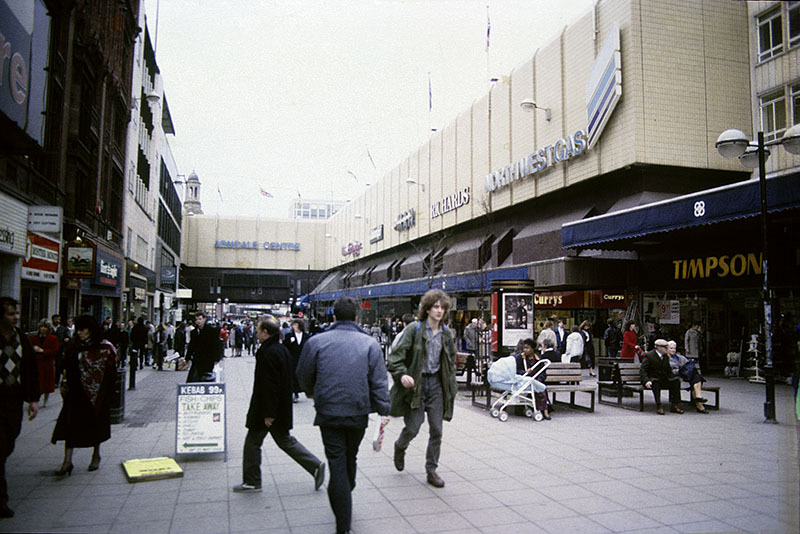 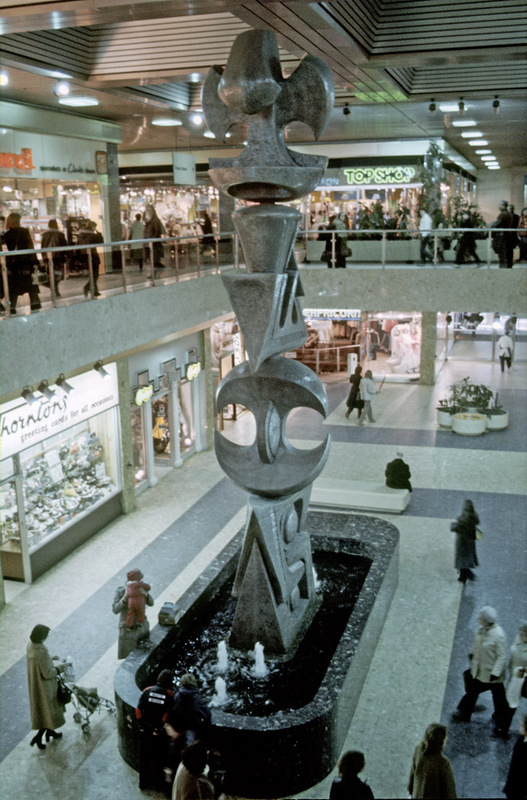 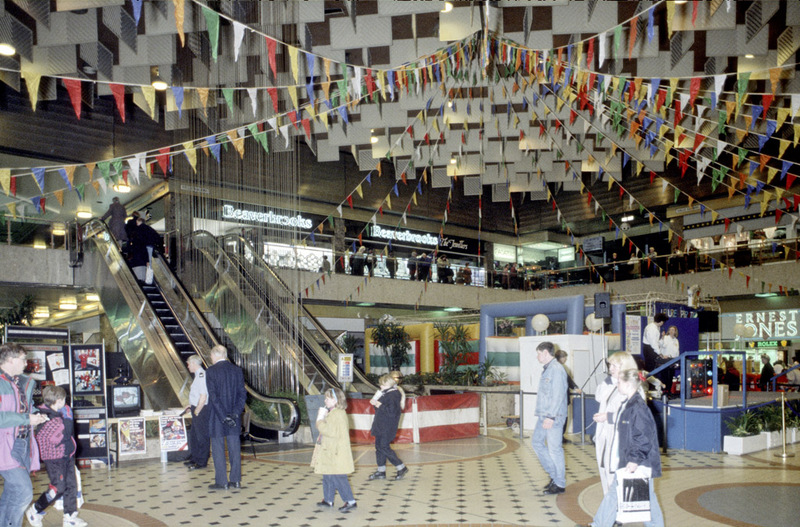 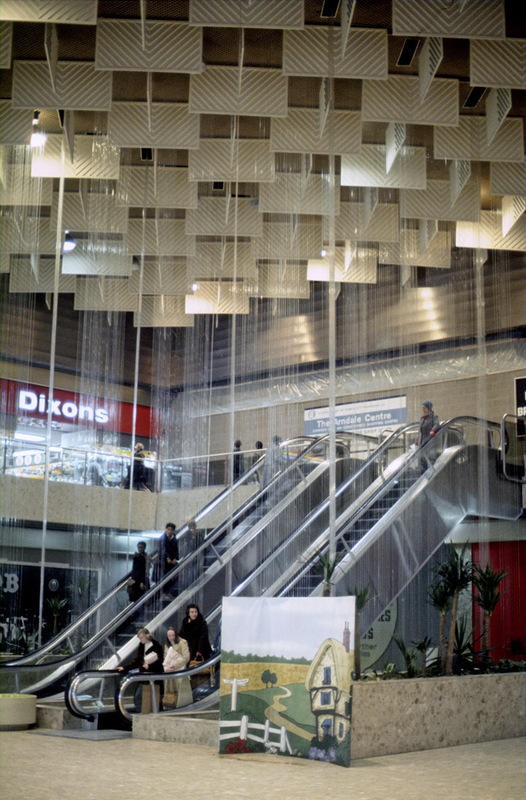 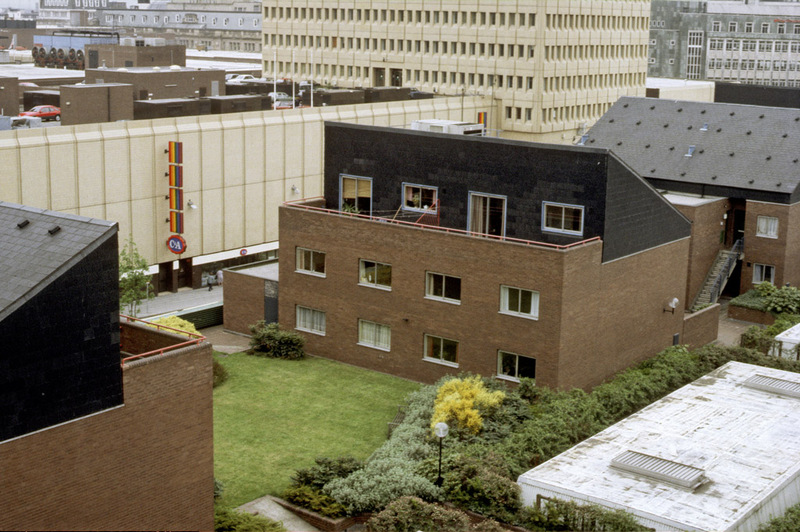 Manchester’s original Arndale Centre was built between 1971 and 1979 by developers, Town & City Properties, the successors to the Arndale Property Trust, with financial backing from the Prudential Assurance Company and Manchester Corporation (City Council). 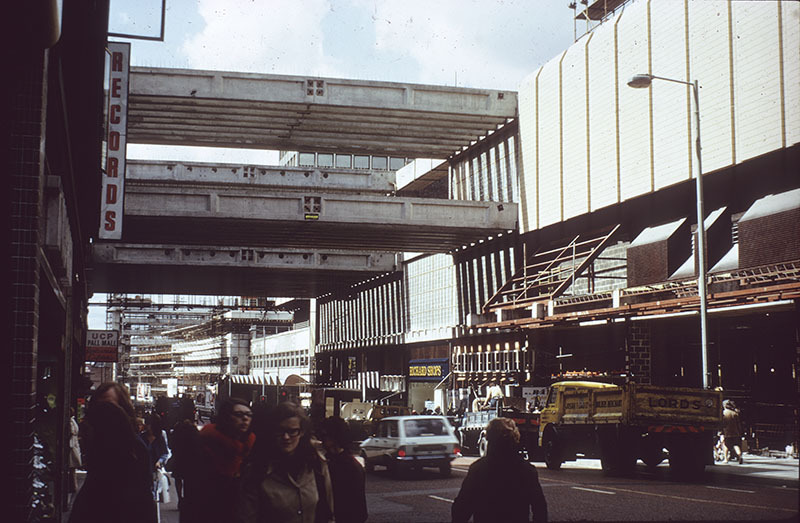 The first phase opened in 1975. 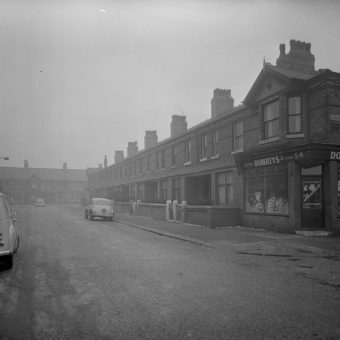 Manchester City Council allowed the trust to obliterate several old streets and alleyways with a building that paid no heed to the Victorian grandeur around it. 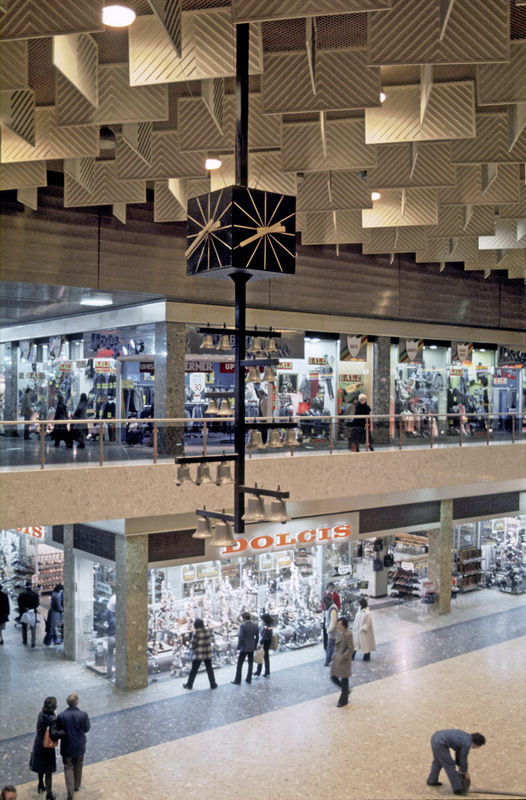 Faced in raw concrete and ceramic cladding, the Manchester Arndale was an unlovely titan that cost about £100 million — an astonishing sum in 1972.